There's two $100 tournaments tomorrow as part of the $100k Series, both serving as great Bankroll Builders not only for Saturday's OneDay$100,000 Guaranteed but also the upcoming Jan. 11-22 WSOP Circuit series featuring 12 Rings in 12 Days. 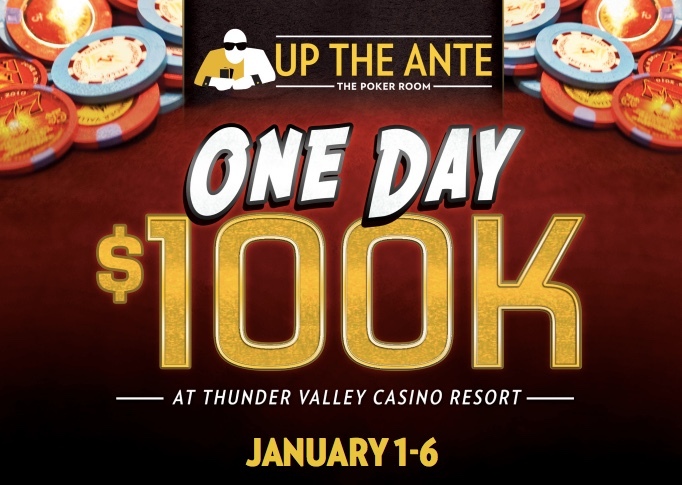 11am is a $100 Hold'em with 10,000 starting stacks, 20-minute levels and unlimited re-entries through the first 6 levels. Registration closes at the start of Level 7 at about 1:15pm. The 6pm event (yes, 6pm starts for all evening tournaments in this series) is a $100 PLO High also with 10,000 starting stacks, 20-minute levels, unlimited re-entries for 6 levels, and registration closing at the start of Level 7 (8:15pm).